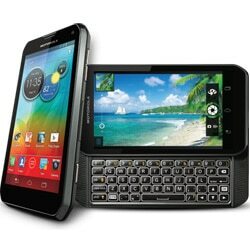 US mobile network operator Sprint has begun taking orders for a new Motorola phone that features NFC, LTE and a slide-out Qwerty keyboard. The Motorola Photon Q 4G LTE has a 4.3-inch display and runs Android 4.0 Ice Cream Sandwich. It is available to pre-order for shipping on 19 August and costs US$199.99 for customers eligible for an upgrade or taking out a new contract.